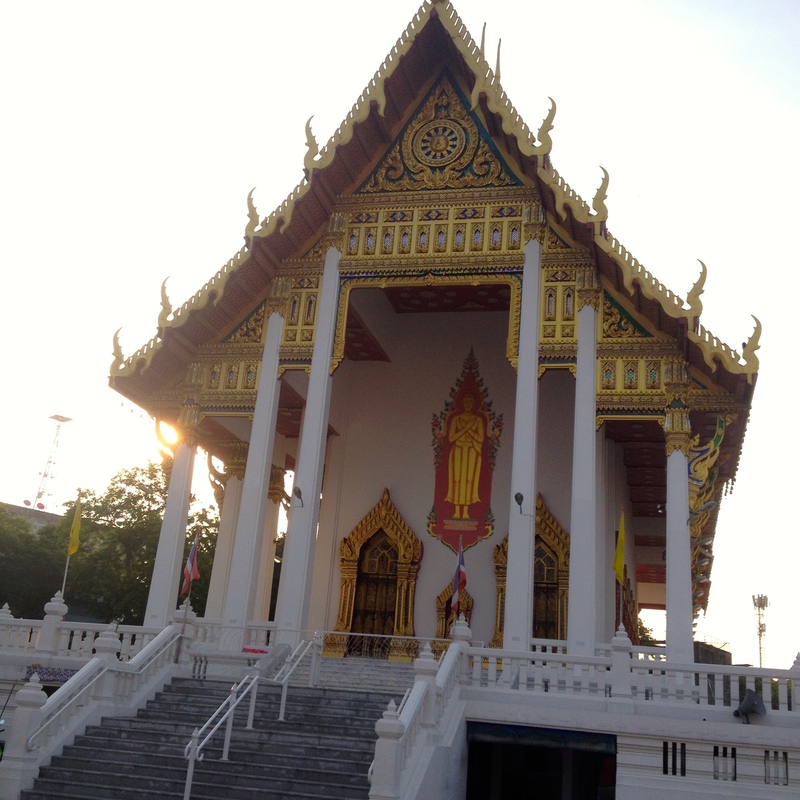 I was recently in Bangkok for a meeting of the Montreal Protocol (governing substances that deplete the ozone layer) held at the United Nations Economic and Social Commission for Asia and the Pacific campus. The weeklong event meant my exposure to this city of 7 million was limited to the areas between the UN campus and our hotel. Still, daily walks to and from the UN campus preserved my sanity and focus to listen to lengthy discussions on complex chemicals, sitting in windowless air-conditioned conference rooms. The intensive week left little time for tourism, but this was expected; I was in Bangkok to report on the meeting for IISD. 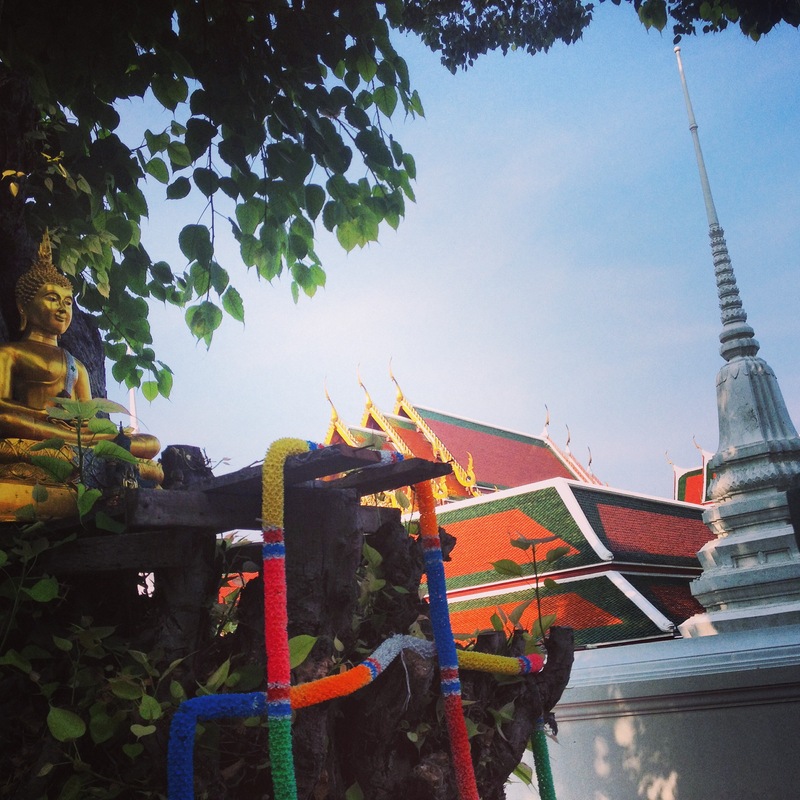 Nevertheless, I was happy to be back in Thailand. In 2002 I was as an exchange student in the Northeastern city of Khon Kaen: studying the impacts of development on people, culture and the environment. 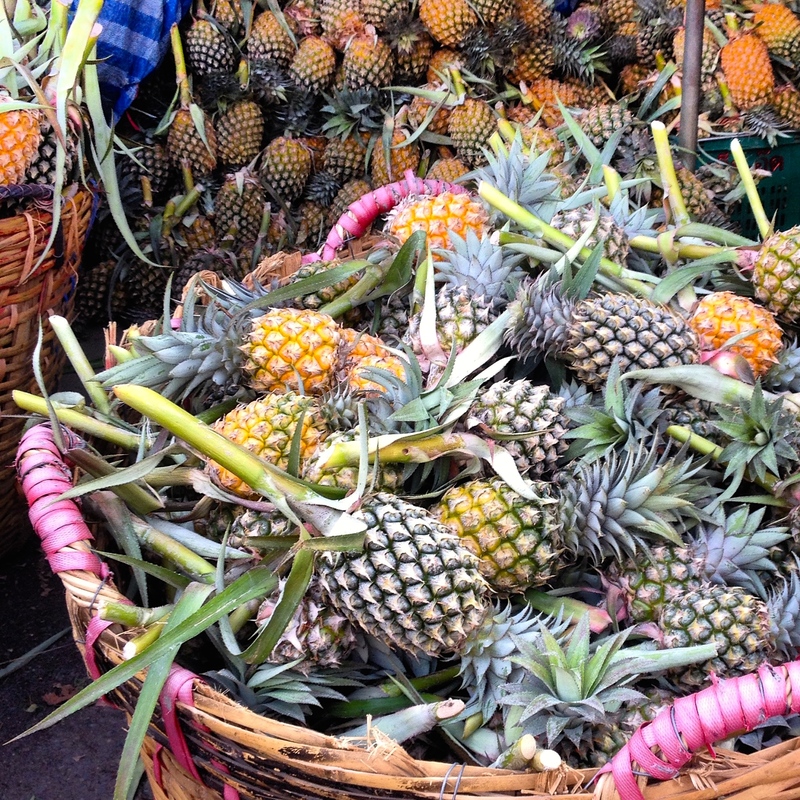 My time in Thailand was unlike the average vacationer. We worked in rice fields, stayed in protest camps and city slums, volunteered in HIV-AIDS clinics, lived with villagers, snuck onto the private property of a multinational paper factory to expose their negligent release of toxic effluents into nearby fields (while denying any wrongdoing), and scavenged in landfills. 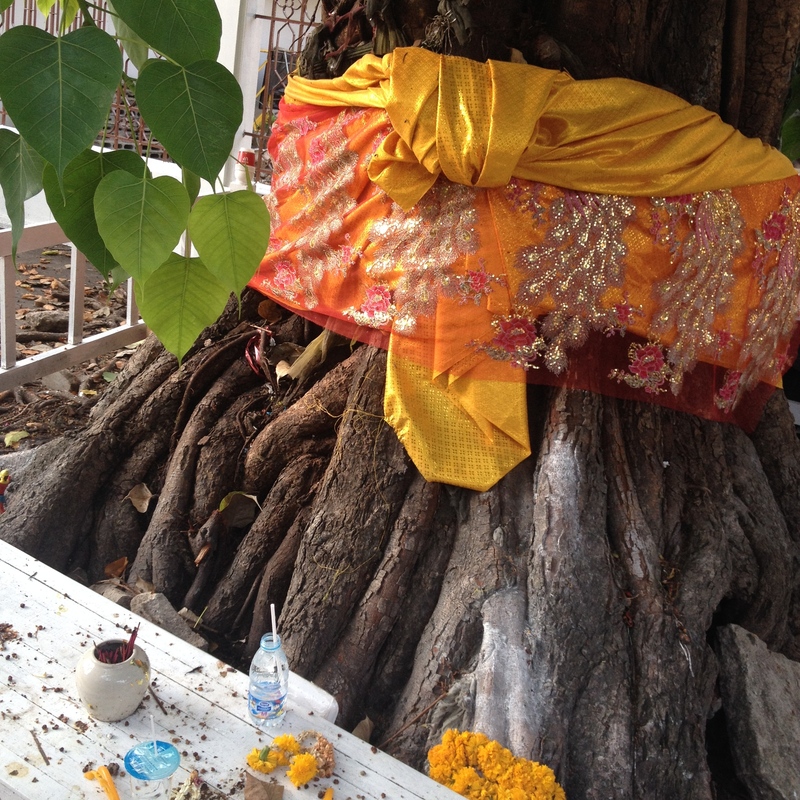 We studied the language and the role of Buddhism in Thai society, staying in forest temples and with the barefoot Asoke Buddhists. It was extremely impacting, influencing my later studies and career. 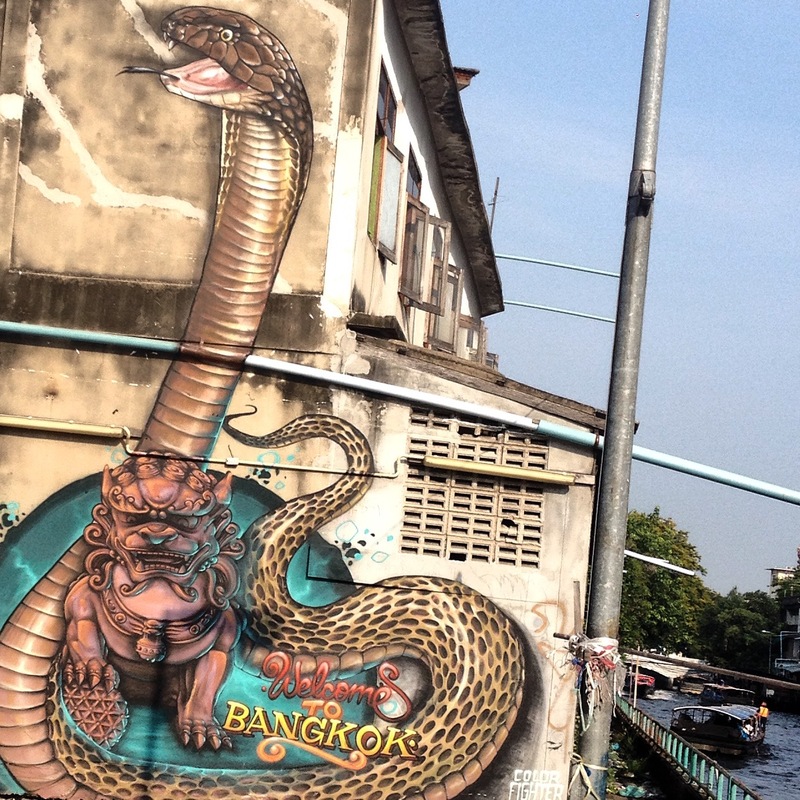 As one can imagine, I was eager to be re-exposed to the language, the food, the culture, the chaos – all which are fully present in Bangkok. 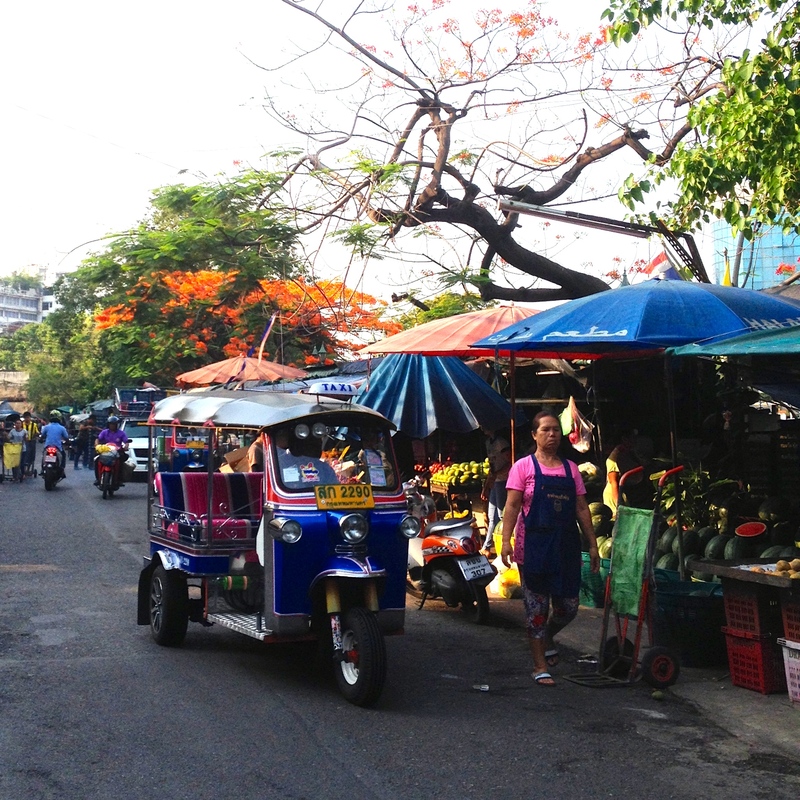 In Bangkok, the traffic never stops; everyone is in a hurry and distances are great. I am a city girl, but honestly megacities overwhelm me. Still, all cities have their quiet corners that reveal their secrets. 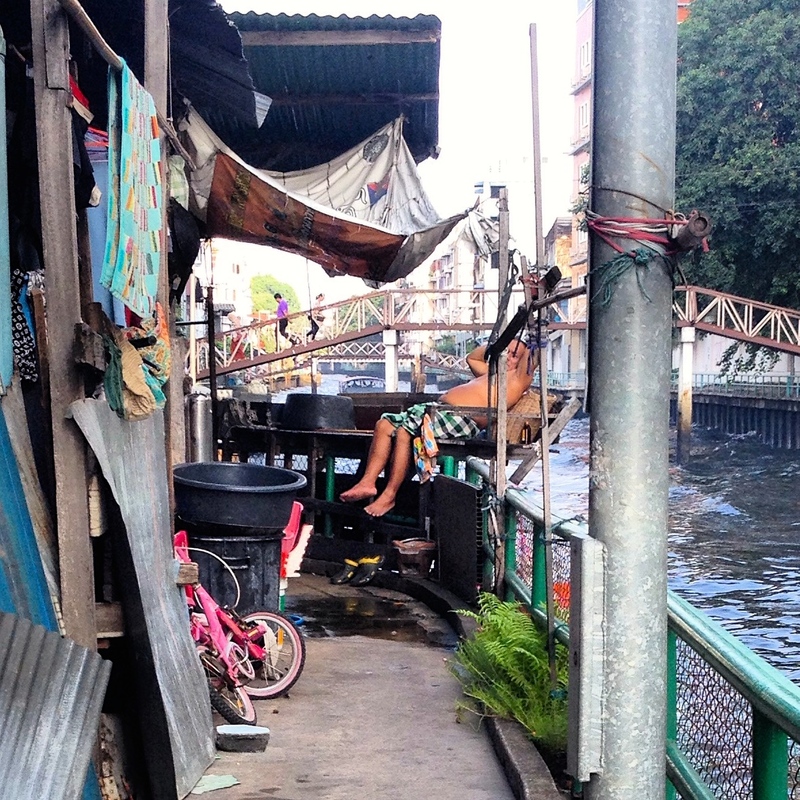 I won’t write about Bangkok as a whole: not its touristic destinations, nor its urbanism trends. I don’t know enough about them. 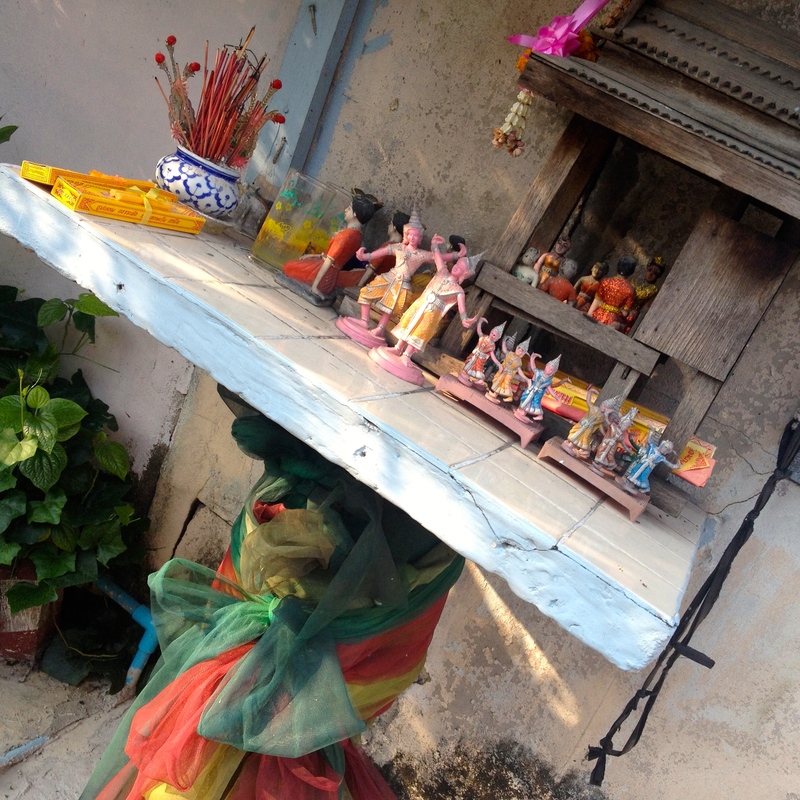 I will write about its backstreets, street markets and hidden corners. 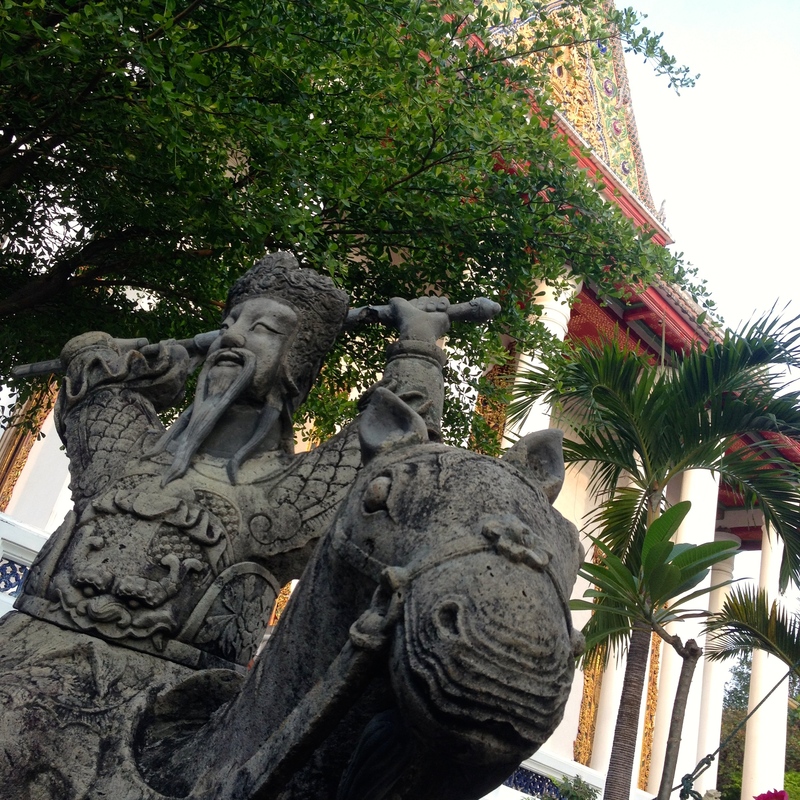 By exploring these places on foot, this overwhelming city became a bit more tangible, a bit more real. 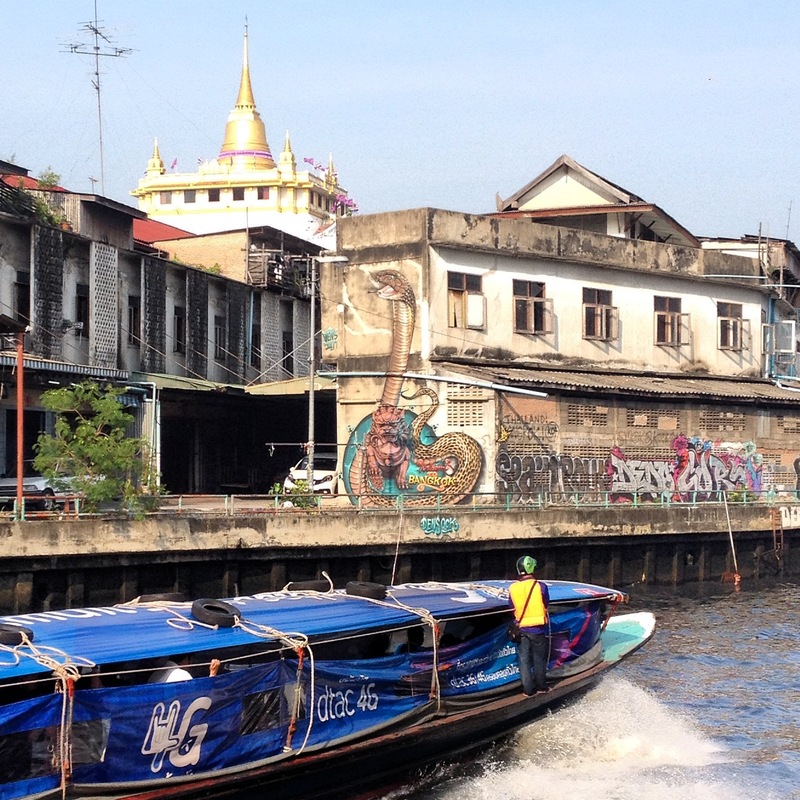 Bangkok’s charm is not found on its grander avenues, but in its narrow alleys where people live: washing, cooking, eating, getting ready for school or work, worshipping, playing. 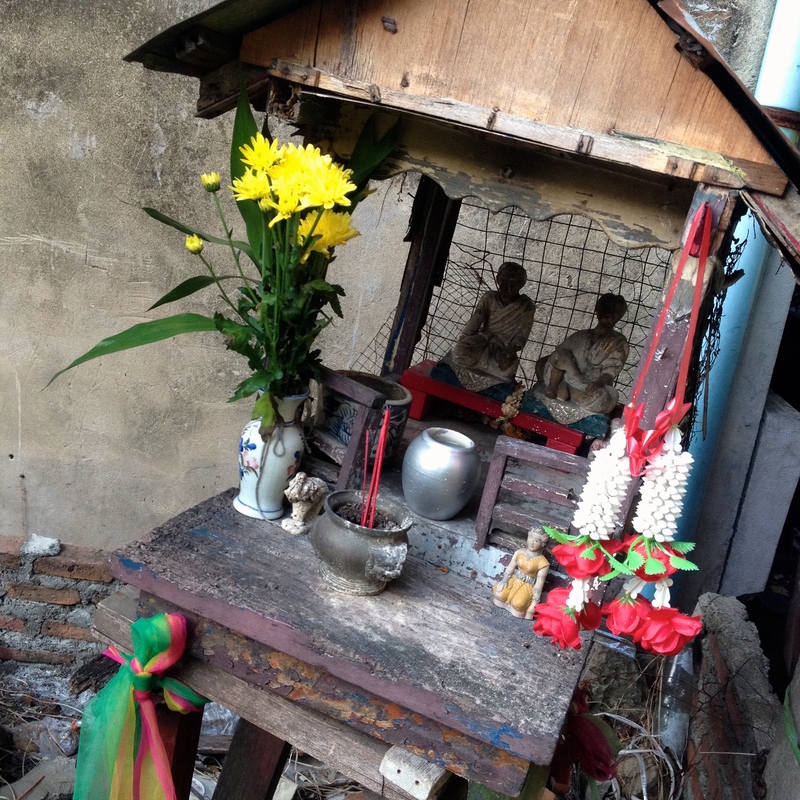 In those morning hours, I witnessed children peddling by on bicycles, elders lighting incents. 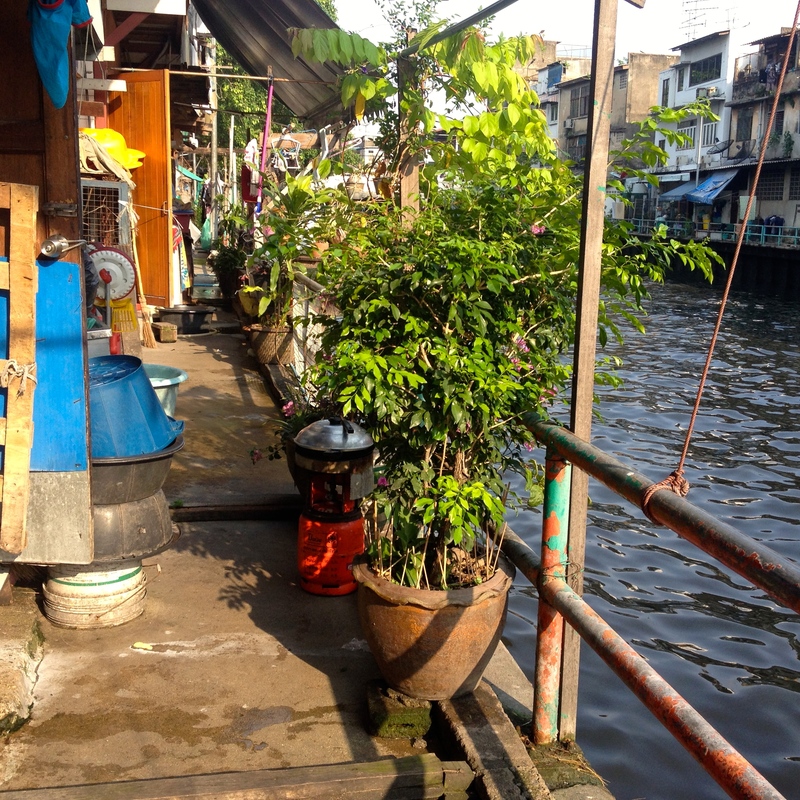 The highlight of my Bangkok walk was a narrow canalside pathway, barely wide enough for two persons, but somehow large enough for a motorbike. Water taxis charged in both directions below; on the path above people went about their daily lives. I was exposed to a different city, a different way of life. 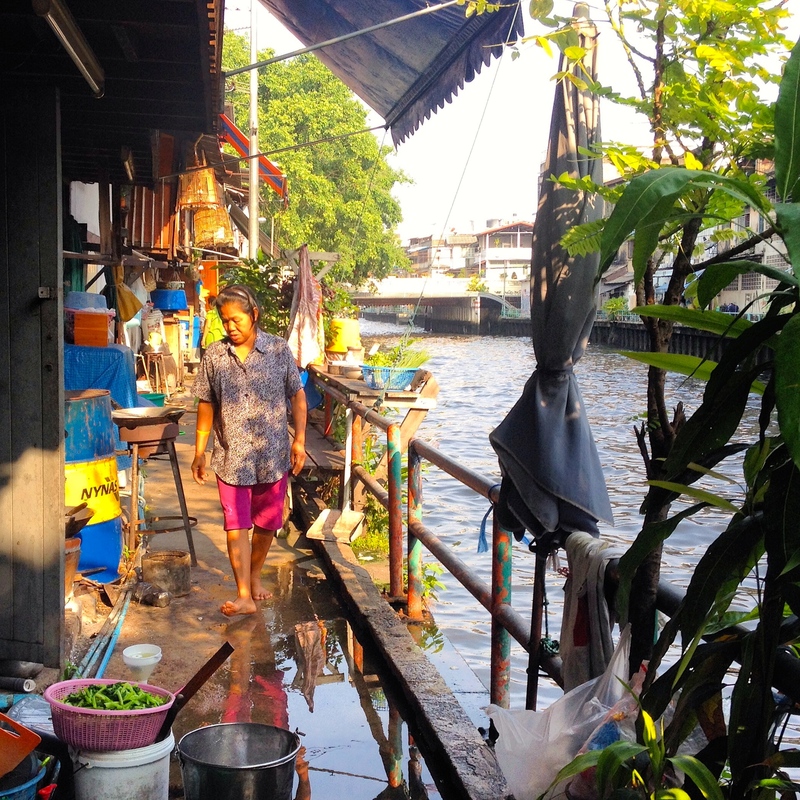 While not far from Bangkok’s hustle and bustle, I walked by people’s homes – their cooking stoves openly exposed and smelling delicious. Papaya trees, tomato plants and flower branches hung over the water, ripening in the sun. 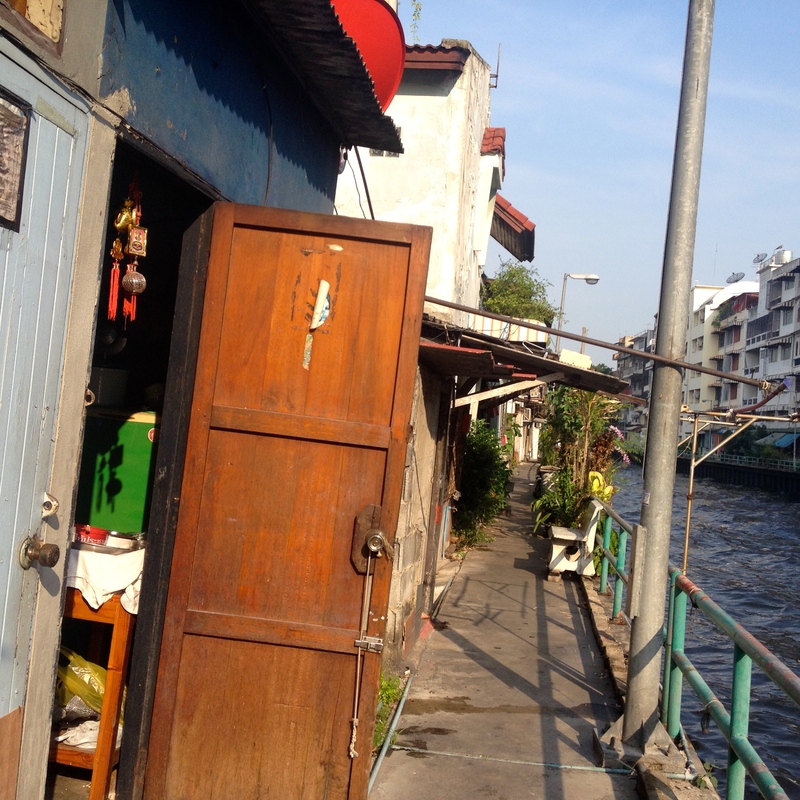 It’s a public walkway, but at the doorstep of people’s homes and I startled a few locals. (It’s not a common tourist destination.) 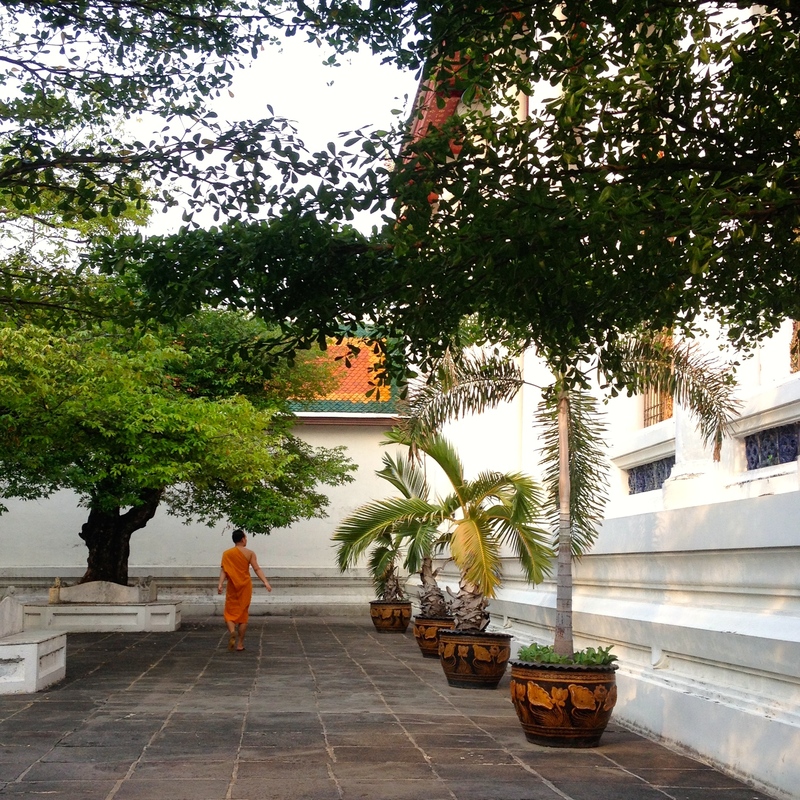 In those morning hours, I was re-acquainted to Bangkok’s charms: its chaotic madness and quiet laughter, its car-invested main streets, and its narrow walkways where chickens and children roam free. 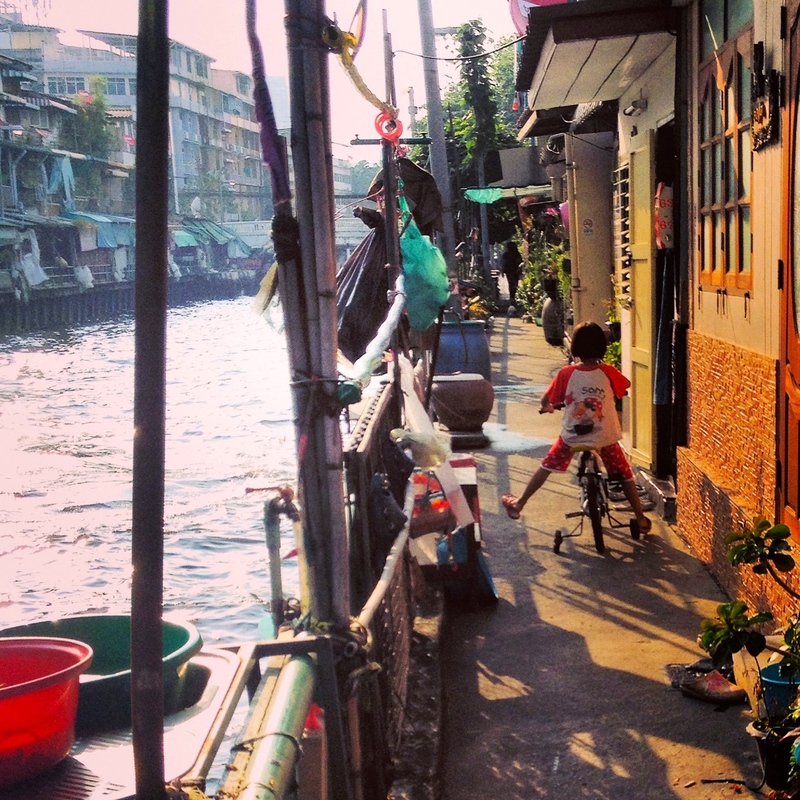 Bangkok is massive; but in these hidden places, it is also livable. Love the narrow pathway shots!